Judaism is built upon two fundamental wisdom teachings: a) there is no separation between Creator and Creation, and b) we need to "rest" from our normal, worldly activity if we wish to appreciate the truth of existence. Each of these teachings is in symbiotic relationship with the other. We learn the profound truth of the non-duality of creation when we are able to temporarily withdraw from our mundane lives, and when we experience the true meaning of ultimate oneness, our everyday lives take on an entirely new meaning. The first teaching, that of non-separation, is expressed in the quintessential Jewish prayer, the shema, which interpreted mystically says: "Listen carefully at the core of your being, the part of you that yearns to go straight to the source of life, the transcendent unknowable God and all that we see in the material world surrounding us is, in fact, one and the same." It is all One. This truth is so important, according to Jewish law, we are required to repeat it to ourselves at least twice a day so that we remember it. This means, in literal terms, to actually say the words Shema Yisrael, Adonoy Elohaynu, Adonoy Ehad every morning and every evening. In esoteric terms, the admonishment to repeat the shema, implores us to sink into the realization of the truth of non-duality, to keep these things "in your heart...when sitting in your home, walking on the way, lying down or standing up..." In other words, we must rest in the understanding of oneness not just twice a day, but all of our waking hours as we engage in every activity of life. Clearly this is not easy to do. Mundane life rapidly overwhelms us. Our minds are so complex and work so fast, we quickly succumb into believing that reality is what we "think" it is, disparate, material and solid. Despite the fact that our own thoughts continue to swiftly evaporate, proving that they were never "real" or concrete in the first place, we persist in believing whatever is happening in our minds at any particular moment. Attempts to answer the essential inquiries of existence are the driving force of knowledge and understanding. The early philosophers sought common denominators, basic elements out of which all things arise, such as earth, air, fire, and water. After thousands of years we continue to seek the fundamental building blocks, now conceptualizing them as mysterious sub-atomic energy bundles called quarks. Nobody has ever seen a quark, but mathematical systems are built such ideas. Other ideas have metamorphosed over the years. Past beliefs in the nature of space and the continuous steady flow of time have transformed into to current beliefs of relativity, a kind of flexibility of time and space, which is almost impossible for most of us to picture in our minds. Relativity is an idea that challenges us on the deepest levels, for it affects our bedrock of belief that reality is something that can be seen, touched, measured and eventually known with the proper tools. Now we are now taught that things work very differently than we can even imagine, and reality has multiple levels that rapidly transcend the grasp of human consciousness. For example, we are no longer certain that there are solid building blocks upon which reality is constructed. At times subatomic energy has the properties of little particles; at other times it seems to have properties of waves constantly in motion. More mysterious, when we set up experiments to look for particles, we find them; yet, using the same experimental method, if we are looking for waves instead, that's what we find. It is as if the observer influences the energy to behave in different ways. This has led modern science to conclude that we cannot separate a subject from an object for the very act of observation affects that which is being observed. This idea of inseparability casts an entirely new light on how we work with the primordial questions of what, how, where, when and why as applied to the meaning of life, for we are compelled to reflect upon the source and nature of the question itself. Who, indeed, is asking the question? If there is no ultimate separation between subject and object, then we have a loop in which the answer and the question are intrinsically interconnected. Thus, rather than looking outward, as if the solutions to life's mysteries are somewhere to be found out there, we are being invited to look inward, to explore the unique energy of the creative urge that arises within each of us every moment of our lives. There is yet another change arising in the way we look at things these days, far more subtle than ramifications of the notion of inseparability. This change arises from the revelation that we can no longer precisely measure anything. The tools of measurement have their own limitations and those who are measuring of course have their's as well. When the measuring stick is composed of the same elements as that it is used to measure, clear limitations arise. A measuring stick cannot measure itself! Moreover, the thickness of an electron is too great to measure another electron. Even worse, everything in the universe is constantly in motion, so there is never a static motion to measure it. Add to this yet another difficulty: that which is being measured reacts differently then when it is not being measured! Given all this (and there is more), we end up with never being able to measure anything exactly, but can only come up with mere approximations. As all measurement is approximate to some degree, then so-called ultimate truth is always unknown. That is to say, knowledge has limits. Not only are there things that we do not know, far more disturbing is the fact that there are some things that will never been known. This is not something easy to swallow. Humans are intrinsically optimistic when it comes to knowledge. We believe that with enough effort and the right tools we will ultimately know everything that can be known. The closer we look into this area--what can be known--the more we discover how little there is that is knowable. Moreover, knowing splits into that which is intellectually understood and can be communicated, and the much larger arena of transcendental knowing that extends beyond reason and expression. Wisdom is not something that fits easily into books, but is rather built upon foundations of direct experience. Both science and philosophy in many ways have circled back to elementary teachings given by mystics in many traditions, that we can discover basic truths by simply resting in quiet reflection in a way that will lead us to a direct experience of our innate nature. This experience is one of inclusivity, wholeness and oneness, an innerconnectedness of all things. When resting in this realization, we come to the essential Jewish wisdom teaching of ehad, oneness, the non-separation between creator and creation. This idea of resting quietly in the moment to more fully appreciate the oneness of creation brings us to the second fundamental Jewish wisdom teaching, to take contemplative time each week specifically to explore the meaning of life. Indeed, this is such an important tenet of the tradition, it is actually one of the Ten Commandments: To remember and observe the Sabbath day. The Sabbath is first mentioned early in the Torah, in the opening paragraph of the second chapter of Genesis, which refers to God "resting" after the "work" of Creation. Thus, as we are viewed as God-like creatures, having been created in the image of God, we are obliged to follow this lead to rest on the seventh day. Each Friday night this verse is read as part of the sanctification of the wine or grape juice (kiddush) that marks the opening of the first celebratory meal of the Sabbath. We learn more about the uniqueness of this day when the Israelites are surviving on manna collected in the desert. As the manna would last for only one day before rotting--it bred worms and stank (Exodus 16:20)-- the daily collection had to be consumed immediately. However on the day before the Sabbath, the people were instructed to collect a double portion, so as not to have to work to collect food on the Sabbath. This turned out well because on the Sabbath the manna neither stank nor had worms (Exodus 16:24). This leads to the mystical conclusion that the Sabbath is not an ordinary day. We could go so far as to say it is a phenomenon out of time and space. There are six days, and there is the Sabbath which is not a day but a kind of timeless, spaceless phenomenon. Herein also this lies the secret of the teaching of abundance vis-a-vis the Sabbath. Many people feel that they cannot afford to stop all of their worldly activities on this day. But the teachings say that there will not be a price to pay for taking the time off, rather it can only help in the sense that we will be spiritually refreshed. This is something we can only discover through direct experience by seeing what happens when we actually do it. As we will see there are two types of Sabbath retreat we can undertake: family retreats or solo retreats. Either way, spending quality time with our loved ones, or communing one-on-one with nature and God, it is a win-win situation. In the writings of prophets Jeremiah and Ezekiel, the fate of Jerusalem is often connected with the observance or desecration of the Sabbath. The literal meaning of Jerusalem is "City of Peace." The mystical understanding of these teachings is that our inner Jerusalem, the place of inner peace, depends upon being nurtured spiritually--and this is what the Sabbath is about. All the way back to the Maccabean revolt, Jews have often chosen death over desecrating the Sabbath (1Macc 2:3138). This could be viewed as straight martyrdom over beliefs, or on a deeper level, it could be seen as a profound realization that the Sabbath is the vehicle for understanding the whole purpose of life; without it, there is no reason to live. The Sabbath is by Jewish law a time of joy. Mourning a death is not permitted on the Sabbath, even of a close family member. It is a time to honor our parents. One cannot fast, but must celebrate with the best food and drink. Three good meals are mandated. It is a day when we wear our best clothes. It is also considered meritorious to have sexual relations with one's spouse on the Sabbath. We are taught that if one Sabbath were observed by everyone, it would assure the immediate appearance of messianic consciousness. It is said also that keeping the Sabbath alone is equal to observing the entire collection of Jewish law. The experience of the Sabbath is viewed as a taste of the "world-to-come." This is considered as an opportunity for an ordinary person to enjoy a connection with life that even the greatest kings and monarchs of all times sought to achieve, a connection that is available not through wealth and power but through simply learning how to stop being busy. As this is a handbook for meditation practice, it is important to distinguish between meditation, per se, and meditation retreats. As previously noted, meditation is an umbrella term which includes many techniques designed to alter consciousness. Some of these methods are quite brief, lasting only a few minutes, some can continue for a long time. Meditation retreats are extended periods of time that are given exclusively to meditation practices for the purpose of transformation and expanding one's consciousness. Retreats can include as few as only one or two meditation practices, repeated over and over again, or retreats can consist of a collection of a variety of different meditative techniques. Whatever combination of practices we use, however, retreats are defined by the amount of consecutive time one is able to devote to meditation practice. Many people meditate on a daily basis from twenty to sixty minutes. This is an excellent way to sustain a level of meditative consciousness. But when we wish to transform ourselves and deepen our awareness, we must shift away from our normal life style long enough to allow for our inner chemistry to change. Traditionally, this can be accomplished by retreating into a concentrated meditative environment for at least a day or more at a time. So we can arbitrarily distinguish between ordinary meditation and a designated retreat by setting a standard of a minimum of twelve hours of continuous practice. Judaism literally mandates one full twenty-four hour day of retreat each week--a Sabbath day--every week of an adult's life. It also mandates week-long retreats in the spring and fall. For highly committed practitioners, Judaism has opportunities for extended retreats of between thirty and forty-nine days a couple of times a year. Retreats of this length are common in many contemplative traditions. Vajrayana Buddhists often take retreats of thirty days; Theravada Buddhists traditionally take a three month retreat every year. To become a lama in some Tibetan practices, one must sit on retreat consecutively for three years, three months, and three days. Clearly, extended retreats are not for everyone. Moreover, they are not necessary in order to become highly skilled meditation practitioners. The point here is that traditional Judaism for thousands of years up to this very day has followed a program of practice that requires at the least one full day of retreat every week plus two weeks of retreat every year. This applies to people with busy lives, and is a commitment that serious meditators must consider. We are never more than six days away from the one-day retreat possibility intrinsic in every Shabbat. We have seen here that about one-half of all Shabbats have special designations which add new elements to a retreat taken at that time. In addition, almost every month has a unique minor or major holy day that give opportunities for retreats of several days or more. When we include all of the designated possibilities for Jewish oriented retreat days, it turns out to be about 140 days each year! This opportunity each of us has to experience time off, to commune with nature, and to be at one with the Divine, is an amazing gift. The Talmud teaches: "The Holy One said to Moses: Moses, I have a precious gift in my treasury and its name is Shabbat." and I wish to give it..." (Beitzah 16a) We have the choice to accept this gift, or not. It is taught that our willingness and desire to dwell continuously in the arms of the Divine and to fully immerse in the truth of oneness is the key to all of the wisdom of this universe. 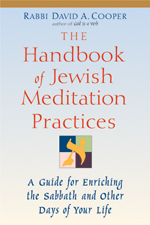 This can be achieved by simply letting go, by regularly practicing--at least one full day each week--reflection, silence, simplicity and other meditative techniques discussed in this book. It is a transformative experience to take advantage of this gift, and it is more important than all the riches of the world. For this reason, it is said: "Judaism does not keep Shabbat alive as much as Shabbat keeps Judaism alive.